Online bingo is incredibly popular all over the world, but it’s not just because players are so enthralled by the game of bingo itself. It’s more a combination of all the entertainment avenues found at an online bingo site, and online bingo side games are one of the most interesting. Side games come in all varieties at online bingo sites. They aren’t always the same, of course. One online bingo site’s list of side games may only consist of a few online slots, while another site’s menu may contain an array of slots, table games, arcades, video poker and other casino-style gaming options. Most online bingo halls will provide their side games in a separate, mini-view window. When you click on a side-game from the main online bingo window, the game opens in a miniature window that can be pulled off to the side to keep from blocking your bingo window. This allows the player to participate in both bingo side games and actual bingo games at the same time, without interruption. The types of bingo offers and side games a site supplies often depend on the software being used. For example, a PlayTech powered online bingo room will usually incorporate PlayTech’s side games. Other online bingo rooms might employ a completely different software developer to supply its’ bingo side games, or even multiple software brands to extend the variety. This explains the greatly variegated selection in bingo side games from one online bingo site to the next. Bingo side games are a perfect diversion when a player grows tired of staring at their bingo cards, and the chat just isn’t stimulating enough to keep you going. Best of all, bingo side games are usually be played for free, just for the fun of playing them, or for real money. In fact, many online bingo fanatics actually make most of their money from bingo side games, rather than the actual online bingo games themselves. The most common and popular bingo side games are online slots. Just about every online bingo room in the world has slots mini games, ranging from classic 3-reel slots to 5-reel and sometimes 7-reel, multi-line video slots. You can even find progressive slots at most online bingo halls. Instant-Win games are also incredibly popular as online bingo side games. Scratch cards at online bingo sites work just like the scratch off lottery tickets you’d find at your local convenience store or super market. Using your mouse, you scratch back and forth across the card to reveal whether or not you’ve won a prize, and if so, how much. Other popular bingo side games include tables games like Roulette, Blackjack and Baccarat; as well as video poker games like Jacks or Better, Joker Poker and All American Video Poker. 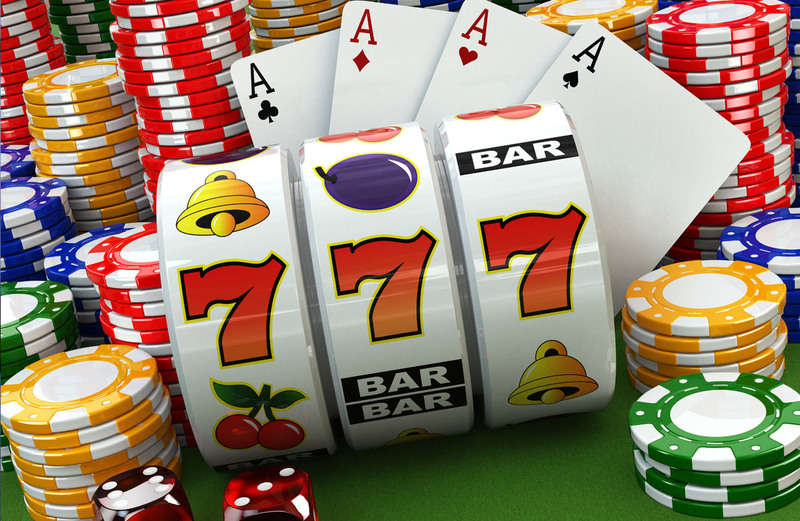 These games are played in the exact same manner as in a real casino, or a standard online casino. The only real difference is the size of the window you are playing in. Less common side games may include arcade style games. For example, if you like betting on the ponies, there may be a derby game where you select a horse to bet on, then watch the animated race take place to see if you’ve won. Knowing that these games are going to be viewed in a miniature window, they are designed with precision, vector graphics to make everything as crisp and visible as possible. Typical enhancement graphics may be removed to ease visibility and ensure there is no unnecessary clutter. All bingo side games come with a complete rules description built in. Wagering on any game when you aren’t entirely sure of the rules and payouts is never recommended. Simply look for the ‘Rules’ or ‘Help’ button in one corner of the screen to read all about how the game is played and what kind of rewards you can expect to receive for each type of win. Online bingo software is designed to make the bingo games as automatic as possible. The ‘Auto-Daub’ feature negates the need to click any numbers on the bingo cards, instantly daubing every card with every called number, and even sliding the cards to the top that are closest to winning. There are no requirements to win an online bingo game either – the software announces “Bingo!” the moment a player’s card has won. In fact, there’s virtually nothing for the player to do aside from watch the game. You can always toggle off ‘Auto-Daub’, but why risk human error when you don’t have to? When you consider that playing online bingo takes little or no skill, and that the players doesn’t really have anything left to do aside from purchasing the tickets and staring at the screen, online bingo side games become the best solution for potential boredom. And the option to play online bingo side games for real money or just for fun makes it all the better. So next time you find yourself yawning at your bingo screen, click on one of those online bingo side games and discover just how rewarding they really can be.